Kentucky Single Family Housing USDA RHS Guaranteed Loan Program Update 2011.
via Kentucky Single Family Housing USDA RHS Guaranteed Loan Program Update 2011. 2) VOE’s if the borrower is NOT employed in the same position for more than 2 years or the borrower has OT, Bonus or commission income. We will recommend Written VOE’s for the purpose of showing the borrower is in the same line of work! 10) YTD P&L if self employed prepared by tax preparer and signed by borrower. Remember – we cannot send a file to RD without an appraisal!!! The appraisal must state that the property meets HUD Handbooks 4150.2 and 4905.1. 2) Turn times for USDA in several states are extreme. We understand your frustration with the delays and want to express to you that we are watching diligently for return commitments to push your files to closing. If you could review your USDA loans with us and insure that all conditions are met….except for the CC…we can expedite these files ASAP when the commitment comes in. If your file has been with us for over 30 days, please update the paystubs as ours will have expired!!! Thank you for your attention and please let me know if you need me! When searching for home loan options in the Kentucky , you do not want to overlook the possibility of a USDA and Rural Home Loans . Designed to help encourage economic growth throughout the state of Kentucky, a USDA Loan is a great alternative to a traditional home loan. 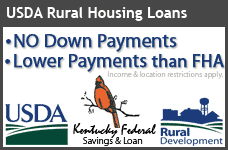 With no down payment required andflexible credit guidelines, a government backed USDA Loan can help your dream of homeownership become a reality in Kentucky. 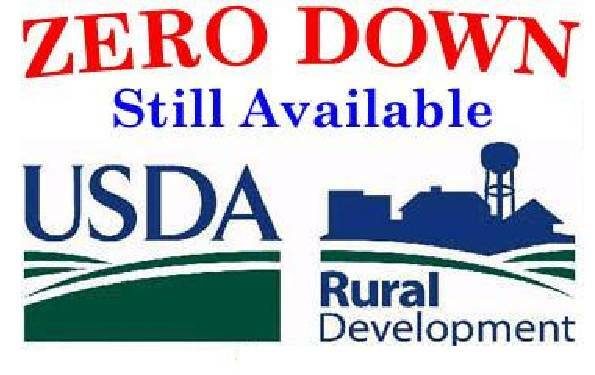 While USDA Loans are limited to rural areas, you will probably be surprised at the selection of qualifying areas. Rural does not have to mean farm country, and so a number of areas that that are located right next to major cities do qualify. In general terms, eligible USDA homes are limited to areas that are not within city limits and have less than 20,000 residents. However, you should never assume that your Kentucky home does not qualify. Even if the property you are considering is close to Lexington or Louisville, it may still qualify. So seek out the guidance of the USDA Loan Agency. Fill out the Application on this page, or call one of our certified USDA loan agents at1-502=905=3708 or email kentuckyloan@gmail.com and find out if you’re eligible. Some of the eligibility restrictions that determine if you qualify for a USDA include the county and zip code the home resides in, as well as, your past credit history and number of dependents.